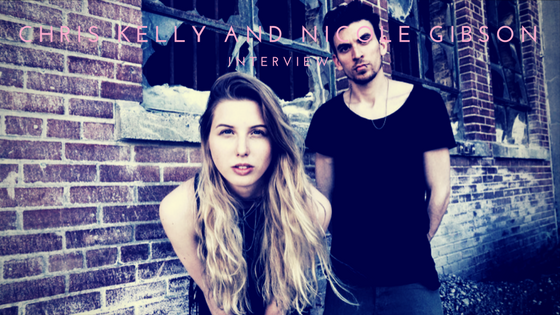 Montreal-based Chris Kelly and Nicole Gibson fronted a variety of bands throughout the years, but after playing a show together they recognized that their similarities were too strong to pass up the opportunity to work as a team. Their debut EP, Out of the Dark, has yet to be released but their game plan of releasing content is what helps them stand out. They’ve been releasing a song a month, along with a music video, as a sort of countdown to Out of the Dark. Each song release gives it an opportunity to stand out on its own for a bit and gives the listener the opportunity to focus on the story. The title track was written in two days and became the title of the EP because it best represented their process of breaking free of previous endeavors to create their duo. They’ve also released “Ghost of You”, the first song they wrote together, and “Battleborn”, a hopeful anthem meant to inspire listeners to push for what they believe in. With their project, a piece that also stands out is their DIY mentality. They write all their songs, record all their music videos, handle all their social media… all while doing their own recording, mixing and mastering. While it’s a strenuous effort, it’s their distinct abilities that keep the momentum going. “What’s nice is we both have really strong strengths that really complement each other which is also really great about this project because we’re really able to rely on each other because we are able to support each other in the parts that the other may not be as good at,” Gibson said. When they’re not busy doing all of that, they’re recording weekly YouTube videos. The idea started in August 2016 and they set a goal of putting out one cover song a week for a year. As the one year mark recently passed, looking back and realizing how far they’ve come really adds to the excitement of the EP release. “It was more like a personal challenge… Doing covers is the key to opening doors to people noticing you,” Kelly said. Their passion behind their various content and their exploration of finding what works best for them is what makes Chris Kelly and Nicole Gibson the perfect team. With the release of Out of the Dark coming soon, their gear up to the release is DIY perfection.